The British Museum is billed as a place to see the world without leaving London, and it’s true. 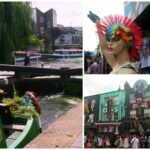 The museum is a treasure house of amazing art and ancient artifacts spanning all of human history and every culture, housed in a visually spectacular and historic building in Bloomsbury, Central London. 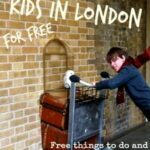 I’ve lost count of the number of times we’ve been, one visit could never do it justice, but I can share a few thoughts on visiting the British Museum with kids to help you with planning your London vacation. 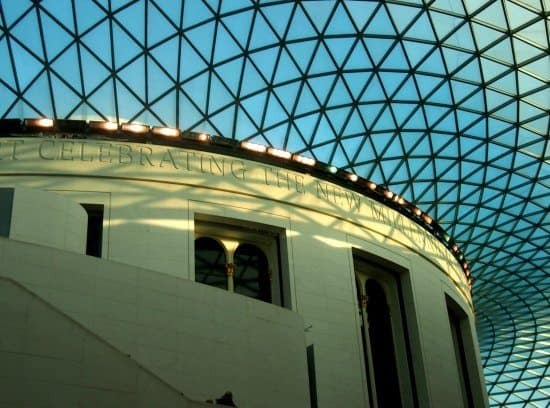 The British Museum was the first national public museum in the world, admission is, and always has been, free and over 6 million visitors flood through its magnificent doors every year. Donations are encouraged and boxes to deposit money are provided, although there is no pressure. Children are welcome at the museum, there is no shushing and tutting. Many of the exhibits are huge and as such, just stand on the floor in the vast halls, it would be very easy for unknowing children to touch or climb on them, just let them know that this is not OK. My kids get the most out of the museum in one of two ways. Enjoying the kids audio guides in the Africa gallery. 1. We buy a kids audio guide. The cost is very moderate. 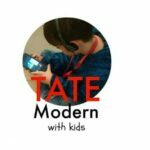 These guides take them on a treasure hunt through whichever gallery the children choose. Last time we spent 2 hours using the audio guides and only got through 4 galleries (Africa, Ancient Egypt, South East Asia and The Americas). The kids remained engaged and had fun throughout the experience, we grown ups were getting tired so we called it a day. We’ll be going back to finish the tour. He was thrilled to see the Standard of Ur in real life after learning about it in Khan Academy. That 3DS is great for taking photos. 2. 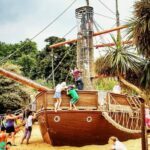 We focus on a particular exhibit or area and make sure the kids are well prepared. We sometimes visit to see a single item or explore a defined region. 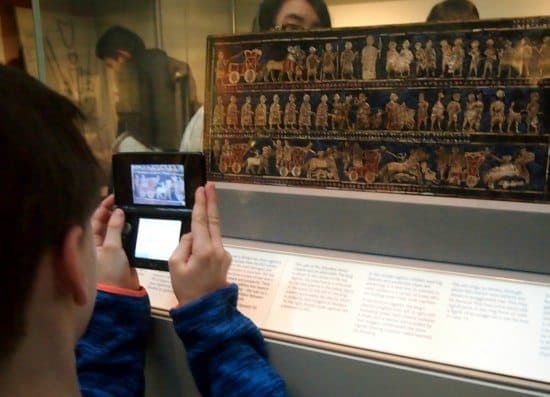 We’ve done this recently when we’ve been studying Ancient Wonders through Minecraft Homeschool. We had no idea until then that some very impressive statues from the Mausoleum at Halicarnassus were on display in the museum, nor that fragments of the Temple of Artemis at Ephesus were tucked away in a side gallery. Seeing these after studying them and realising their significance, blew my 10-year-old away. Had we visited “cold” they would just have been a load of crumbly statues. Likewise, we’ve been learning about Mesapotamia as part of our History Crash Course on Khan Academy. One of the items spotlighted in the art section was the Standard of Ur. When my son met this incredible piece in real life the next day, I got a long, drawn out, OMG! 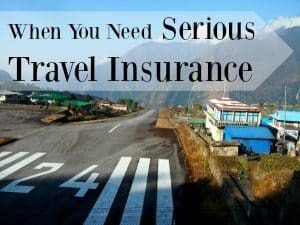 Ideal scenarios because we have the luxury of time and the freedom of visiting when we like, but most visitors will only fly through once on their special family vacation. 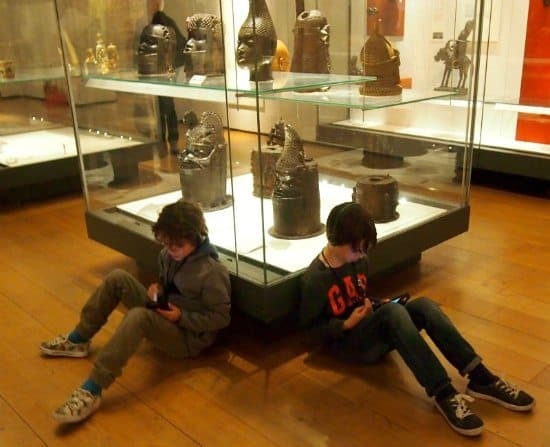 I would suggest selecting parts of the museum that the children have an interest in. Most kids are fascinated by ancient Egypt, mummies in particular, you’ll find loads upstairs. The huge Egyptian and Greek statues, found near the Rosetta Stone (which always has a crowd) are great for kids too. You can find one of the real Easter Island Moai, that might please Night at The Museum fans and my boys enjoyed some of the African artefacts, particularly those made from recycled guns and ammunition. Look out for demonstrators happy to let children handle small exhibits, they are stationed around the museum. The gift shop is great, and huge. I let the kids spend as much time as they like here browsing, they’re still learning and enjoying themselves. The British Museum is in fashionable Bloomsbury. 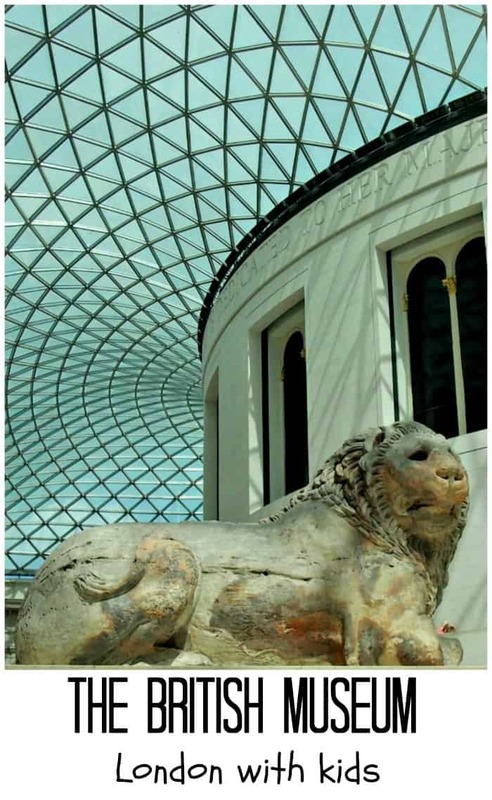 The nearest tube stations are Holborn and Tottenham Court Rd (550m) or Goodge St and Russel Square (800m) For bus information see the British Museum’s Getting Here Page. 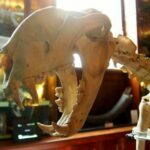 This museum doesn’t attract the big queues that you see at the Natural History Museum during school holidays and weekends, but it is much nicer to visit when the museum is quieter midweek. The museum host special exhibitions, for which you do need to pay. We’ve only been to one, Ancient Lives, it was well worth the admission fee. There is a café on site, serving great quality, high price tag, snacks You could easily spend a whole day here, or pop in to see one special thing, it’s entirely up to you. Sounds like a fun day out with the kids. Add in the fact that it’s free and that you have quite a bit to digest at the museum and you have a definite winner.